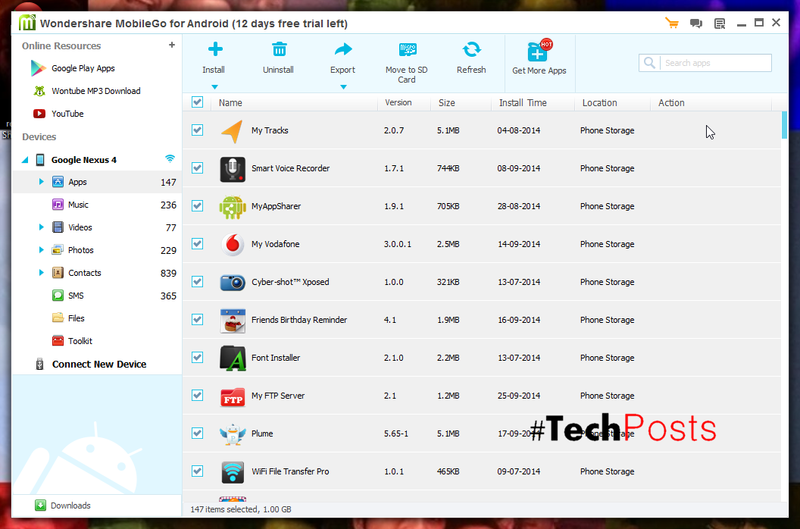 How To Backup Android Apps and Data without root, wirelessly. We always mention in our tutorials that you should create a backup of all your Android apps and keep your personal data safe before you try a new custom ROM, a unsafe system tweak or a normal system upgrade. It is always better if you create a backup copy. In this guide, we will look into how to backup your apps without root using the most easiest way. So i suppose that you have just found a new cool custom ROM for your Android phone or even tablet and you are very much excited to flash it on your device, but then you realize that you have to first wipe your phone using ClockworkMod recovery – and without it you wont be able to flash the Custom ROM. Doing a full wipe means, all data in your phone will be wiped and removed. So now i think you might want to backup your Android apps? Well we’ve the best and easiest way to do it –using ” MobileGo” from Wondershare. 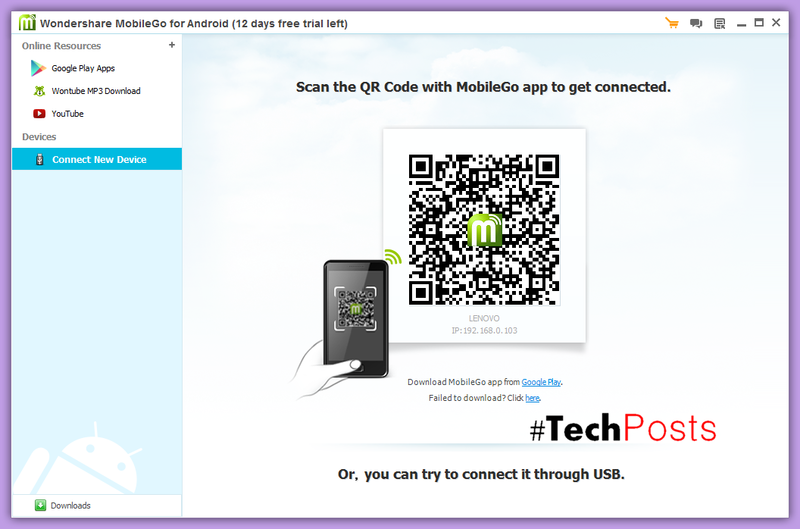 MobileGo is an app available for Android, Windows and Mac that allows you to manage your Android phone or tablet from a PC or Mac using USB and also Wirelessly (Wi-Fi). It has an awesome UI which not only is soothing for the eyes but makes this complicated process of backing up apps so easy and simplistic. MobileGo is a complete PC Suite and fast Android manager which supports almost all Android devices (Phones & Tablets) available. Download MobileGo from the Google Play Store. An Android phone or tablet, obviously! A USB Cable or a Wi-Fi Connection. Let’s get down to the actual tutorial now on how to backup Android apps on a phone or tablet using MobileGo from Wondershare, the most easiest method to do it. Step 1 – First, Goto Playstore and install MobileGo app for Android. Step 2 – Open the MobileGo app on Windows/Mac. It’ll show you a screen with a barcode which you need to scan using MobileGo app that you just installed from Playstore in your Android. Please Note : You must connect your PC/Mac and Android phone on same Wi-fi (WLAN). 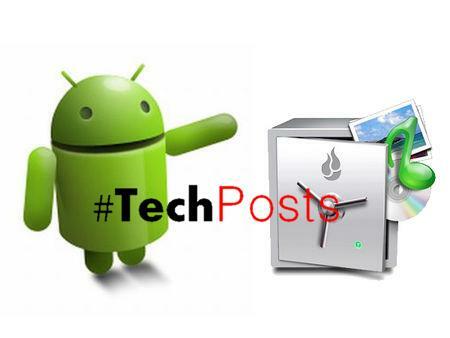 Step 3 – Now as soon as you scan the barcode it will start connecting and a notification will appear in your PC/Mac in the Notification area asking for permission to connect with your Android phone. Select “Accept”. Step 4 – Bingo!! Now your Android phone/tablet is connected successfully with your PC/Mac, wirelessly. 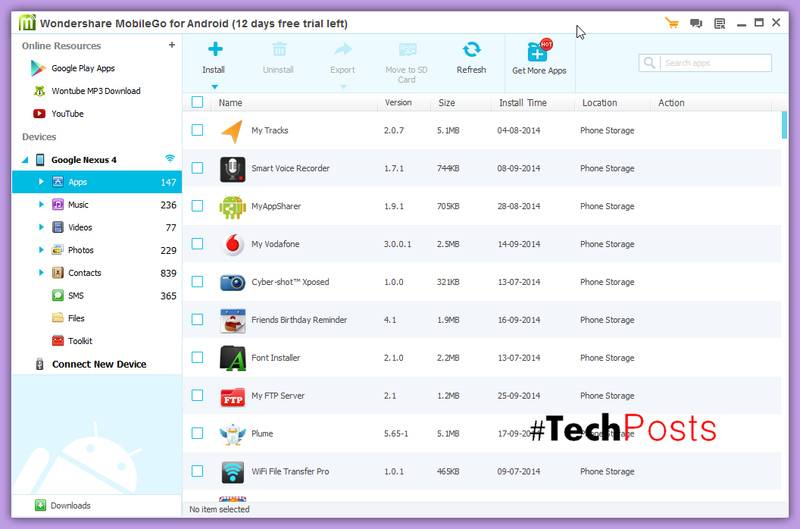 And now you can easily backup your personal data and Apps from your Android phone to your PC. Step 6 – Select all the apps or just the important ones you want to backup. Step 6 – After you press Export, MobileGo will backup all the selected apps to your computer in .apk format. In case, you selected only one app then the downloaded file will be in .APK format. You can also do this by Connecting your Android Phone/tablet via USB cable and enable USB Debugging from Developers options in setting. That’s it! The downloaded apps in your computer are now a backup of what you had installed on your phone – same version, same release. Remember, MobileGo does not download apps from the Internet while backing up, instead it copies them from your phone’s installed apps to your computer. Now that all the apps have been downloaded, you can just Compress all into the ZIP file and save into a folder which you can save it on your computer or later transfer it back to your Android device, whenever needed. 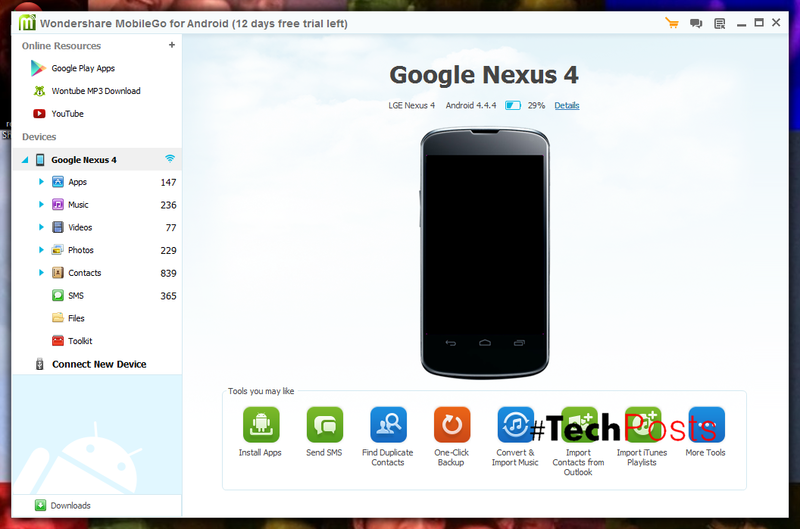 Now, what if you want to restore Android apps back to your phone or tablet? Well, this steps takes the longest if you have a lot of apps and games in the backup. Additionally, you can restore all or selected backed-up files to your Android phone with just a click using MobileGo. You can watch this Video Tutorial to understand this How to Guide better…..
Just wanted to let you know that We’ve launched YouTube Channel where we upload awesome video content. Make sure you hit the subscribe button to stay up to date with the new videos we upload every week. Also Subscribe us for more How To Guides and Reviews…!!! @ http://youtube.com/checknma for more How to Guides. Enjoy..!!! Titanium is good for backuping files then as for rooting search4roots is good.